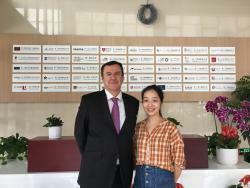 This September saw Professor Jonathan Williams visit Bangor Business School’s valued university partners in BFSU (Beijing Foreign Studies University), TNU (Tianjin Normal University), SUFE (Shanghai University of Finance and Economics), CCZU (Changzhou University) and ZUFE (Zheijiang University of Finance and Economics). Following discussions with leaders, Professor Williams gave presentations to cohorts of students and faculty about Bangor Business School and the excellence of its research-led teaching, the beautiful location of Bangor, the quality of the environment and student accommodation, and the safety of the city of Bangor. 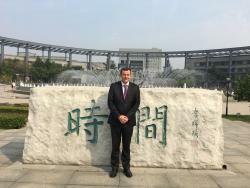 Professor Williams emphasised the importance for young talents to attend established universities with proven capabilities in research and teaching, and he presented some of his current research on pay and performance to audiences at the partner universities.